I have been looking for a prototyping tool in VR that would allow UX designers to easily test and present concepts without writing any code. So far, what I’ve tried had limited capabilities. For example, Quill Brush, Tilt Brush and Google blocks allow you to create 3D scenes and objects but do not offer great ways to create smooth transitions. In Quill for example the animations look more suitable for videos instead of UI transitions and interactions. A few weeks ago, I discovered Tvori. At first glance it seemed to me that it would not be a good fit for UX designers as it was kind of similar to the other art tools I already mentioned. Anyway, I decided to give it a try and was pleasantly surprised. I could easily create animations with keyframes and animation curves. It does not allow you to design real prototypes that users can test, but you can visualize interactions and prototype ideas in 3D instead of 2D. Instead of going through all the features, I will show you how I created a prototype of a bookmarks database in VR. So, the idea I wanted to show visually was how would it feel if the bookmarks library of a browser is organized like a universe with cluster of interconnected bookmarks. This is something we’ve discussed with my team but have not had a chance to try yet. I started by creating a single 3D sphere with a cluster of smaller spheres around it. Tvori allowed me to group them together so I could simply copy the group instead of creating new clusters from scratch. The second step was to create the connections between the planets and the user. When brainstorming the prototype, we thought of adding physics to the system to make it feel more realistic. It would also hold the planets of a cluster together but prevent them from clashing with one another. Unfortunately, I could not simulate the physical connections between the planets properly with Tvori — I simply drew lines in between them. Still, for the purpose of the visual prototype, it looked neat. Here is how one cluster looked like in the end. I added a long string so the user could drag it closer the way he/she would drag a bunch of balloons for example. The next step was to test the animation functionality. It was intuitive and easy — I just had to start the clock and then move the objects I wanted to animate one by one. I added a 3D model of a human to show more realistically how the user would be interacting with the prototype. I first moved the hand of the model, stopped the animation mode, turned back the timer to zero, and then dragged closer one of the clusters of bookmarks as if the model was pulling it. Tvori is probably the best tool I’ve used so far for visualizing UX concepts in VR. It allows UX designers demonstrate interaction without the need to write code. The animation panel is intuitive and simple to use. I hope to see more features implemented which would allow me to build and test real prototypes. 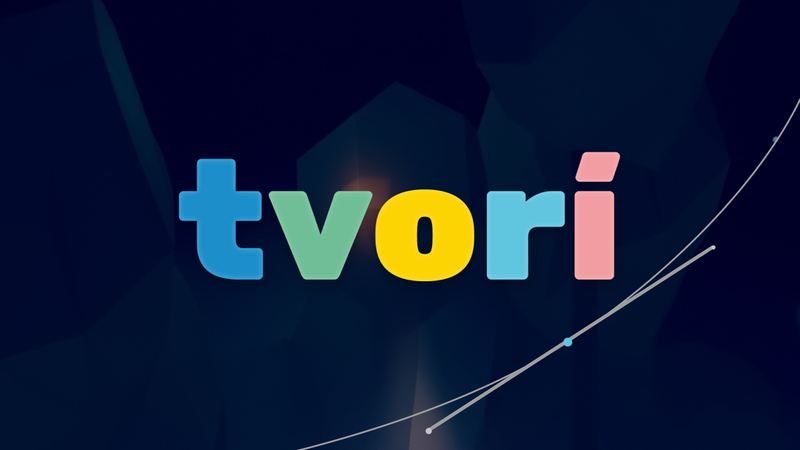 IF you want to try Tvori you can get it both on Oculus Store and on Steam. Content created from designers for designers. We talk about everything a designer needs to know to get started with design for the next realities.